There is need to address the bottlenecks hindering Zimbabwe’s improvement on the World Bank’s ranking on the Ease of Doing Business, the Deputy Chief Secretary in the Office of the President and Cabinet, Ray Ndhlukula has said. 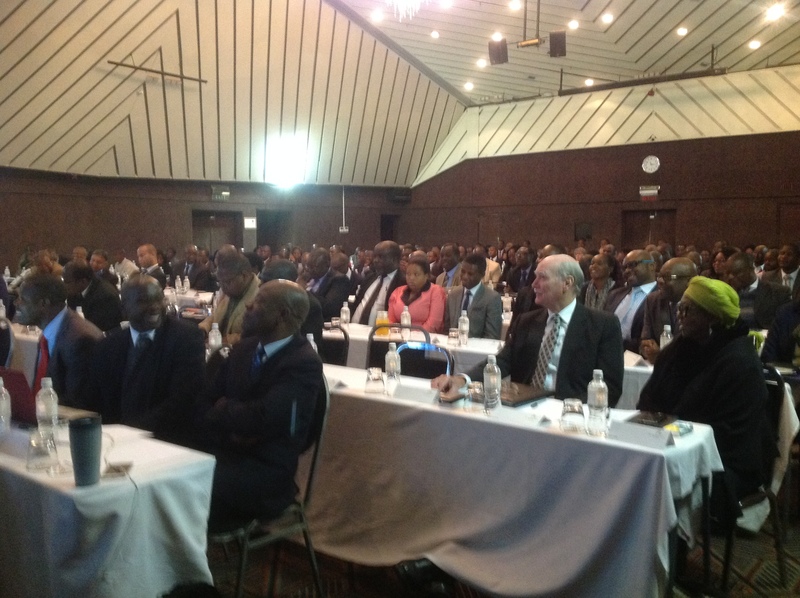 Ndhlukula made the remarks on the occasion of the review of second 100 Day Ease of Doing Business Rapid Results Initiative held in Harare at the Monomotapa Legacy Hotel on 14 June 2016. The Second 100 Days of the Reforms have seen real progress in the processing of laws that were earmarked for reform. This comes as a number of Statutory Instruments have been gazetted and non-legal processes are being implemented. “In order to ensure sustainability of the milestones that we have already achieved since the commencement of the Ease of Doing Business reforms, there is need for continuous monitoring and evaluation by the relevant Government agencies. This should be complimented by a communication strategy to the targeted beneficiaries to inform them about the streamlined business operations and also create mechanisms for enticing feedback to maintain and sustain the improved business environment. “We strongly hope that with the progress so far registered and the feedback that will be provided by the beneficiaries of the reforms, Zimbabwe will move up on the World Bank’s ranking on the Ease of Doing Business from the current position of 155 out of the 189 countries. Our goal is to make Zimbabwe’s ranking to be on the top 100 on the Ease of Doing Business. However, this requires a shift of mind set among the public servants, strong collaboration and partnerships as well as adopting a whole of Government approach in tackling bottlenecks that constrain our business operating environment,” Ndhlukula said. The initiatives are in line with President Mugabe’s calls on August 25, 2015 on the need to improve the Doing Business Environment by reforming the Companies Act and related legislation. The World Bank and other development partners provided technical and financial assistance on nine technical areas focusing on paying taxes, starting a business, trading across borders, resolving insolvency, getting credit, enforcing contracts, registering property, construction permits and protecting minority investors. In order to ensure sustainability of the milestones that have already been achieved since the commencement of the Ease of Doing Business reforms, there is need for continuous monitoring and evaluation by the relevant Government agencies. This should be complimented by a communication strategy to the targeted beneficiaries to inform them about the streamlined business operations and also create mechanisms for enticing feedback to maintain and sustain the improved business environment. The World Bank Country Director, Camille Nuamah said that the reforms were not only meant to improve the rankings, but the lives of everyday Zimbabwean businesses and entrepreneurs. “Every reform you achieve is one more job that could be created or one more job that could be saved because people find it easier to register a business or to raise credit using the types of collateral that SMEs typically possess. She added that significant progress would be made towards eliminating private sector because the relatively low levels of private sector investment will strangle businesses that would otherwise be successful and compromise key sources of revenue for the Government.